This event is for Christians and anyone interested in the area of mental health and spirituality. In particular the focus will be to enable Christians to engage with mindfulness for health and mindfulness of God in an informed way. The day will be a mix of keynote speakers and breakout seminars led by experts in this field who will bring psychological, biblical and historical perspectives to the cultural phenomenon of mindfulness. The day will be invaluable for any Christian interested in this area of mental health and spirituality. The East Midlands Christian Mindfulness Day (EMCMDay) is very much a local event. After the success of the recent National Mindfulness Days for Christians (NMDs) Dr Mike Pearce (A&E Consultant) and Dr Sue Smith (local Consultant Psychiatrist) approached Revd Shaun Lambert, one of the co-founders of the NMDs about a similar day in Leicester. This would be hosted at the King’s Centre, Wigston & sponsored by Meadows Community Church. Shaun approached his fellow co-founder of the NMDs Richard Johnston of Christian Mindfulness and the EMCM Day was born! Shaun is a Baptist minister, author, counsellor and psychotherapist based in Stanmore, North West London. He is part of the New Wine leader’s network. 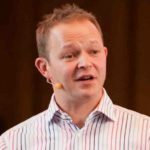 He is co-founder of the National Mindfulness Day for Christians and has been researching mindfulness since 2006, in different perspectives, and is currently pursuing a PhD project looking at mindfulness at London School of Theology. 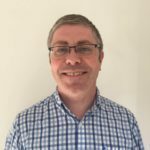 Richard is the pioneer Director of christianmindfulness.co.uk and co-founder of the National Mindfulness Day for Christians. 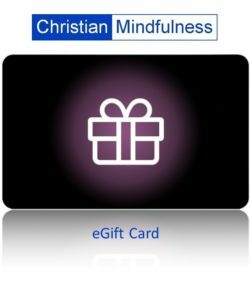 Christian Mindfulness offers Online Courses, Guided Meditations, Workshops and Retreats. It has featured at the UK Association of Christian Counsellors Biannual Conference, New Wine Scotland (CLAN Gathering), Christianity Magazine, Premier Christian Radio, the Church of England Newspaper, Mind & Soul website and Turning the Page (New Zealand). Titles by Richard H H Johnston - Introducing Christian Mindfulness; Christian Mindfulness: Are You Living On AutoPilot? ; Mindfulness of Body, Soul and Spirit. Dr Rob Waller is a Consultant Psychiatrist working for the NHS in Scotland. 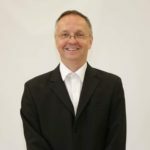 He has extensive experience in the management of serious and enduring mental illnesses, including the place of mindfulness and related practices. He is a director of the Mind and Soul Foundation. Titles by Dr Rob Waller - The Perfectionism Book; The Worry Book; The Guilt Book; The Stuff of Life. Kate is a psychologist, director of the Mind and Soul Foundation, and Assistant Pastor at Hitchin Christian Centre. She is passionate about mental and emotional health and communicating a combination of great psychology, great medicine and great theology to help people reach their full potential. Janet Penny, BA Hons, MSc, PPDip, DCPsych, C.Psychol, AFBPsS. Janet is a BPS Charted Psychologist and HCPC Registered Counselling Psychologist. 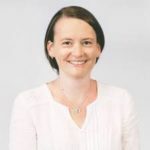 As well as having her own clinical practice, Janet has worked with children and adults in the public sector, and taught at the University of Reading and London Metropolitan University. 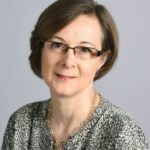 For the last thirteen years, Janet has been a faculty member at London School of Theology (LST) on a BACP accredited BA programme, which explores the integration of counselling/psychotherapy and spirituality, and more recently, MA in Integrative Psychotherapy Programme Leader at LST.